Intel is having a tough time with its wearables. Away from its partnerships to power connected devices like Tag Heuer's smartwatch or Oakley's smartglass/hearable hybrid, we reported that the company was apparently killing off its own wrist-wearable ambitions to focus on getting augmented reality right. 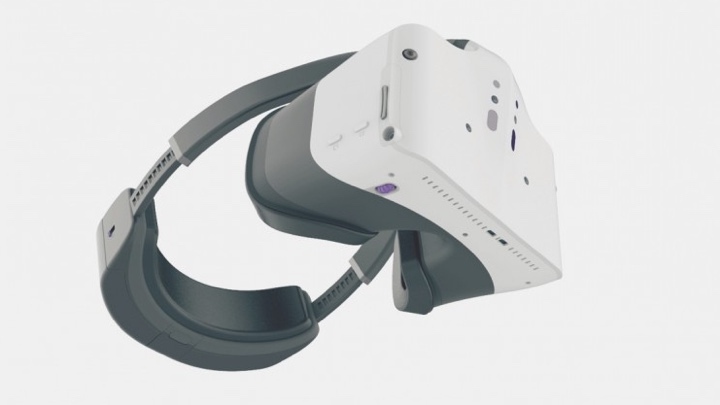 Then it decided to jump on the VR bandwagon with its Project Alloy reference headset, but it looks unlikely that Alloy will ever see the light of day. That's according to a statement provided by Intel to Road to VR that confirmed it's ditching plans to launch the headset. The company does state that it will still continue to invest in tech to power next generation VR/AR experiences. "Project Alloy served as a great proof of concept for Intel and the industry – showing what's possible in a high-performance, immersive and untethered VR experience. What we've learned through Project Alloy will inform future efforts," the statement read. So why was Alloy canned? One of the apparent reasons was a lack of partner interest in the hardware while factors like cost and fitting the tech into a headset that wasn't a hulking mess may have also been factors in the decision to halt development. Alloy was set to be Intel's first VR headset that would offer 'merged reality' and was set to include additional mixed reality features such as real world object recognition and the ability to see your own hands and fingers while in VR. Like the Vive, it would warn the wearer if they are about to walk into a wall or a couch too. The tech involved was centred around Intel's own depth-sensing, room-scanning RealSense cameras, which we've seen before on the Daqri AR Smart helmet. The headset was expected to launch before the end of the year, but that is clearly not happening any more. No doubt the strong interest in what Microsoft is working on with its VR/MR platform from the likes of Dell, Asus and Lenovo may have also been a factor in Intel's decision to halt its Alloy plans. It's a bit of shame we won't see it in the form originally promised, but there's every chance the tech Intel developed for Alloy will find its way into other devices in the future.